Try Continuous Ink System with your Epson PictureMate 280 and make 30 times more quality prints for the same money! Pay only 0.04 USD for A-4 full color print! 1.What is Epson PictureMate 280 ciss? 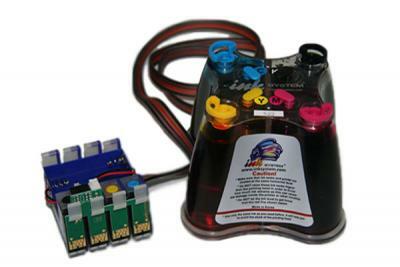 The Continuous Ink Supply System (CISS) proves to be a new step in ink-jet printing. Continous ink system Epson PictureMate 280 has 4 tanks with ink of each color, a silicone tube, cartridges with chips that donвЂ™t differ from the original. The ink goes from the ink tanks to the cartridges, through the printing head to the paper and the process of printing continues. Using the Ciss ink system Epson PictureMate 280, or ink system for epson picturemate 240 your expenses will reduce 30 times, compared with the money spent for original cartridges. Ink system for Epson PictureMate 280 are made using brand-new equipment in South Korean plants. 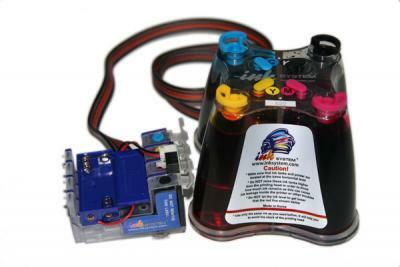 High - quality silicone material, perfect assembling and renovated formula of NKSYSTEM ink will provide you with excellent color rendering of imprints and let you enjoy using your printing device to the full. The INKSYSTEM chips can be reset up to millions of copies, whereas itвЂ™s common knowledge that original cartridges can not be reset as many times as you need. What do you need if you are going to install Bulk ink system for Epson PictureMate 280 yourself? 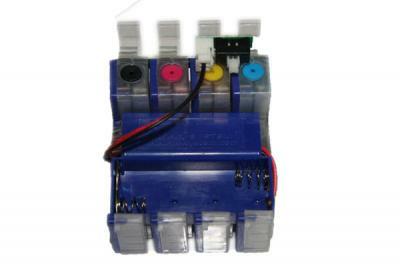 Just remove the original cartridges, install the CISS cartridges and set the tube into the printer. It will take 10 minutes and can be easily fulfilled. If you are not planning to perform the installation yourself, FREE installation is available from the nearest INKSYSTEM office. Then, just add the required ink into your tanks when it is needed! If you are going to stop buying cartridges so often, Cis for epson picturemate 280 is just for you. Your printer will operate a lot more until the next refilling! You can also buy Cis for Epson PictureMate 260 to enjoy the quality of your printing.